From my perspective, I believe we had a highly successful session. The three key measures we passed are extending provisions of the Big Government Get Off My Back Act (HB 45 and HB 1661), a fiscally responsible balanced budget and a dedicated funding source for our Veterans Homes. From the beginning of the session, I emphasized that creating good-paying jobs with health benefits was the top priority for the House. The House sent the Senate several versions of job-creating bills during the course of the session and HB 45 and HB 1661, which I sponsored, became law. 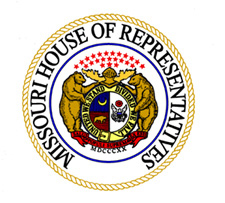 This developed into a good pro-jobs bill for the state and a great bill for Johnson and Pettis counties. I am very proud to report that I was successful in passing four bills out of the House in my second term as your State Representative. They will have a positive impact on the 54th District. The idea for this bill came from me meeting with several local small businesses and across the State. This law is aimed at helping our Main Street businesses - those small businesses with less than 50 employees. (1) Authorizes, for tax years 2011 through 2014, an income tax deduction for a small business for each full-time job created with an annual salary of at least the county average wage as determined by the Department of Economic Development. To be a full-time job, the employee must work at least an average of 35 hours per week for a 52-week period. The business will be allowed a deduction of $10,000 for each new full-time job created or $20,000 for each full-time job if the business offers health insurance and pays at least 50% of the premiums. The idea for this bill came from a constituent whose drivers license expired while he was stationed overseas. While our men and women are serving our country overseas, I believe the last thing they need to be worrying about is renewing their Missouri drivers license. Any person discharged from the armed forces of the United States will have six months from the date of discharge or within 90 days after re-establishment of residence within the state, whichever is sooner, to renew an expired driver's license without examination. A Missouri resident on active military duty or any dependent, 21 years of age or older, residing outside Missouri or the United States may renew his or her driver's license by mail. In addition to the bills above, I have also been successful in adding amendments to several bills while serving you since 2008. One amendment I offered that passed the House was to eliminate taxpayer funded government lobbyists and put the funds to the At Home Meals program for senior citizens. These seven lobbyists make $50,000 to $83,000 a year and during the economic downturn, I thought it was more important to provide meals for our senior citizens. Another amendment I offered in Budget Committee was to provide funding to expand the dining area, solarium, chapel and conference/training room at the Warrensburg Veterans Home. I am proud to see the new additions at the Warrensburg Veterans Home and believe the additions will provide an even better living environment for our veterans. The Veterans Home recently received an award as one of the best in the nation and these improvements will help continue that fine tradition. As session has ended, I have returned back home to meet with constituents and local businesses. My office in Jefferson City is still open and staffed with limited hours by my Legislative Assistant, Tad Mayfield. If you send an email or call me, please keep in mind that I'm trying to reply to those messages as quickly as I can. I value your opinions and look forward to discussing your issues and concerns. It is a privilege to serve as your state representative.